Oh, lamps. If there's one design mistake I see homeowners make over and over again, it's that they skimp on lighting--both on quantity and quality. If everything in your room seems right, but the overall effect is still dull, you probably need more light to see those beautiful things you love. To inspire you, I've rounded up lamps from some of my favorite sources. Check 'em out! Eye-catching, right? This Cactus Table Lamp is also from Mod Livin.' (They ship, friends across the country, so you can get yours, too.) Even when this lamp is turned off, it's a piece of beauty. Art meets light! 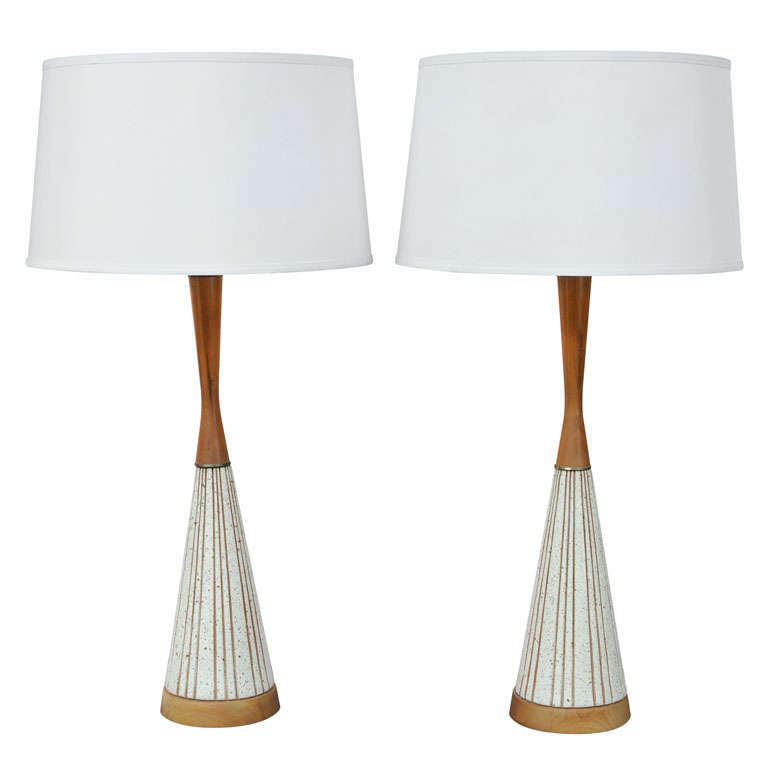 If you're looking for something a little more traditional, but still flirty, check out these curvy lamps from Arhaus. I love the feminine shape and the neutral color! If you don't know about 1stdibs, well, I'm sorry to introduce you--because you can easily lose hours of your day searching the site's fantastic inventory of things that make a design-lover swoon. 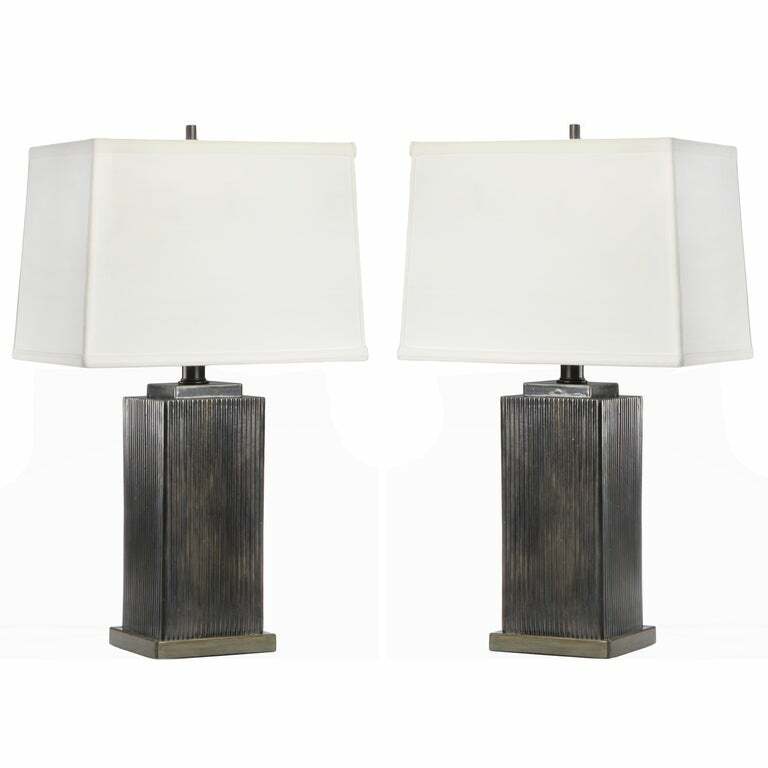 Case in point: these mid-century Danish restored table lamps, which make me happy. 1stdibs strikes again! 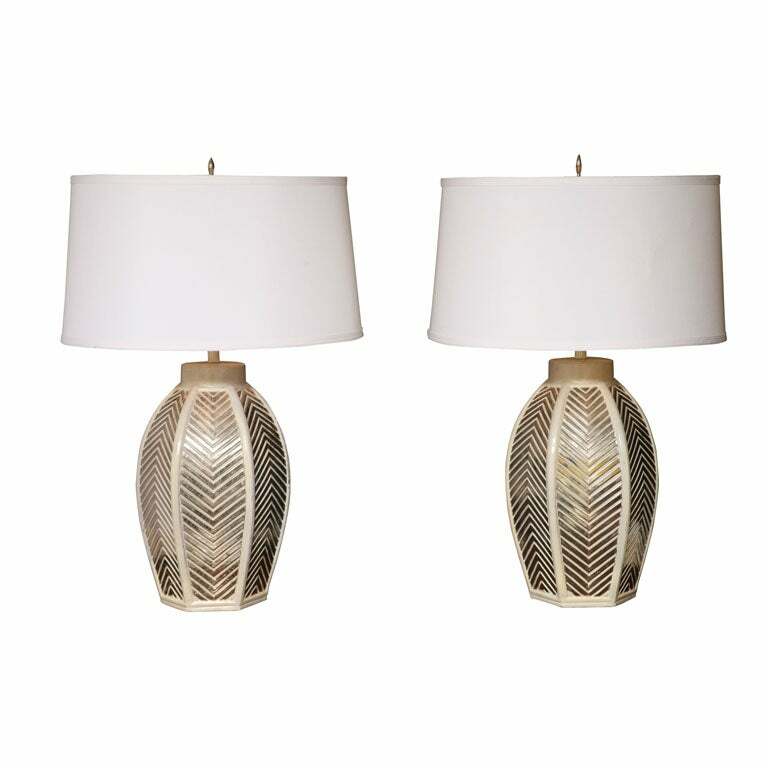 These mid-century ceramic lamps with a herringbone pattern would be excellent statement pieces in a small living room. I see them in an elegant, textural space--or in a loft with lots of exposed brick and earthy colors. Let's just agree that the possibilities are abundant. And we can agree that mid-century modern isn't the only design era worth mentioning. These Art Deco glazed ceramic skyscraper lamps are SO good-looking, a little bit of handsome glam for your home. The French know about good things: cheese, wine, chocolate, and design. 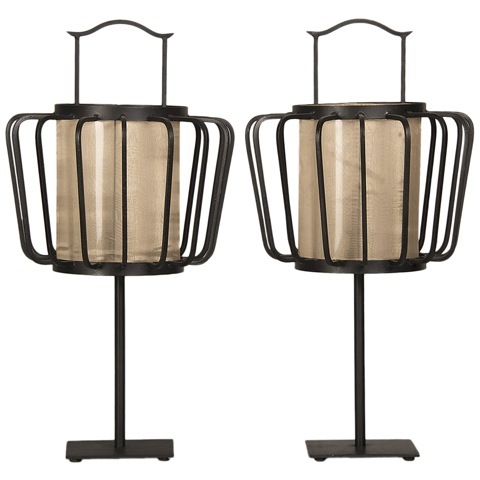 These lamps, found in France, show off ironwork that just makes me want to stare at them. It's always fun to add a surprising shape to your home, something that inverts the norm. So go on and add a little light--and a lot of style--to your home.